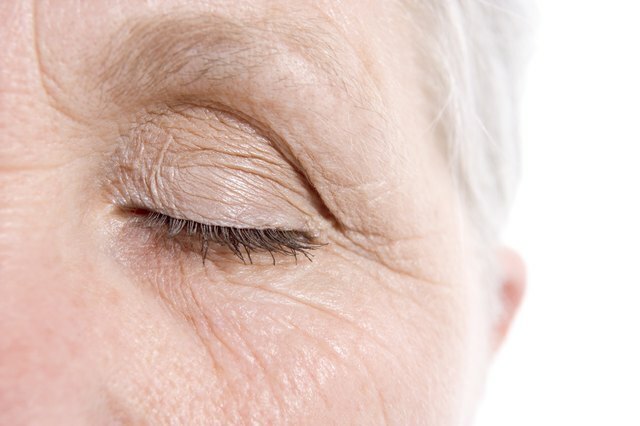 At some point in each of our lives, fine lines and wrinkles become visible in the eye area. This is caused by several factors including damage from ultraviolet light, stretching and manipulation of the skin, and gravity. 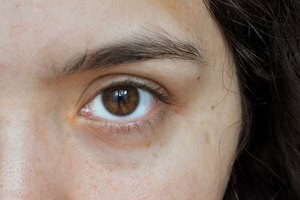 Because skin in the eye area is tissue-like in comparison to that on the rest of the body, it is common to notice lines and wrinkles here first. Although prevention is key, fine lines and wrinkles in the eye area may be reversed by incorporating a few extra steps into your daily beauty ritual. Scrub the eye area with a gentle exfoliator. Anchor the thumbs under the chin and use ring fingers to rub in circular motion over and around eye. Rinse. Cleanse with a facial cleanser. Apply repair serum to the eye including the eyelids as well as the entire area within the eye orbital. Just a small amount of product is necessary. Apply a moisturizing eye cream to the eye area. Dab on a few dots around the eye using pinky finger until absorbed. Repeat as directed on product packaging. Consider additional help. Consult a dermatologist or cosmetic surgeon to discuss additional options, such as laser treatments, if desired results are not seen within a reasonable period of time. 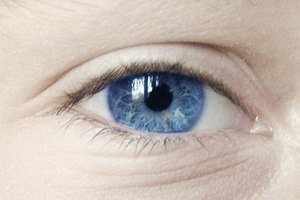 Always opt for ophthalmologist tested/approved products to use around the eye. This will reduce the risk of sensitivity and/or irritation. Ideally, the serum you use should target lines and wrinkles but also boast firming of the skin. Use products as directed to achieved desired results. Pennsylvania resident and native Candice Webster has been writing articles on health and cultural issues since 2010. She holds a Bachelor of Arts in psychology and is pursuing her Master of Education in English from Millersville University.